CARACAS, Venezuela -- Acoustiblok® sound abatement material was chosen to provide state-of-the-art acoustical balance in the musicians’ rehearsal studios at the Center for Social Action Through Music Center in Caracas, Venezuela. 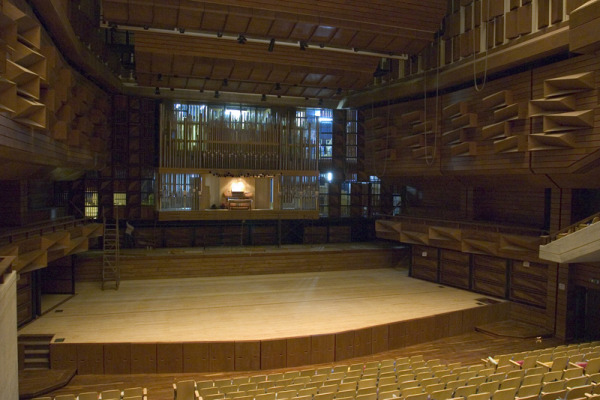 Acoustiblok was installed within the wall surfaces, floors and ceilings of the practice rooms within the orchestral center, which is divided into two main zones: the northern zone, where the academic activities are developed, and the southern zone, which consists of the Simón Bolívar Concert Hall with a seating capacity of 1,100. The southern zone is also composed of the Concert Hall No. 2, with a seating capacity of 400, and a range of rehearsal rooms, recording studios and music workshops. 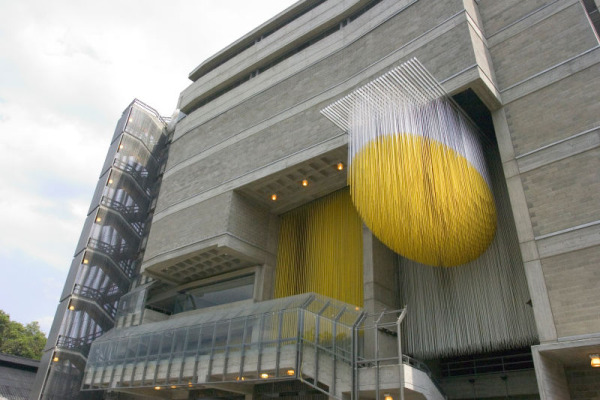 The Center is an eleven-story building designed by Venezuelan architect Tomás Lugo that also includes libraries, an outdoor acoustic shell, recording rooms, changing rooms, cafés, and administrative offices. Consultants for the State Foundation for the National System of Youth and Children’s Orchestras of Venezuela (FESNOJIV) chose Acoustiblok for its proven ability to effective reduce sound transmission. Installing Acoustiblok in walls, floors, and ceilings increases the decibel reduction through a thermodynamic process called “adiabatic isothermal conversion" whereby Acoustiblok is engineered to transform acoustic energy into inaudible friction energy as the material flexes from sound waves. The Center for Social Action Through Music was created by the FESNOJIV and financed by the National Housing Institute of Venezuela and the Inter-American Development Bank for the purpose of developing music academic programs and training courses for orchestral conductors, performers and music professionals. FESNOJIV seeks to improve the lives of Venezuela’s low-income youth by offering artistic and intellectual opportunities to which they normally would not be exposed. While Caracas is home to most of Venezuela’s youth and children’s orchestras, the foundation has nationwide reach, incorporating nearly 250,000 children in both rural and urban areas in each of the country’s 24 states. Venezuela has 125 youth orchestras, 57 children’s orchestras and 30 adult professional symphony orchestras, in addition to a vast network of núcleos, or music schools, located throughout the country. Acoustiblok is made of a 1/8-inch (3 mm) thick proprietary viscoelastic polymer material with a high-density mineral content, heavy yet extremely flexible. One thin layer of Acoustiblok added to a standard metal or wood stud wall will result in more sound reduction - and provide more privacy - than 12-inches (30.5 cm) of poured concrete. Acoustiblok’s noise solution products are backed with hard science and certified, independent laboratory test results. 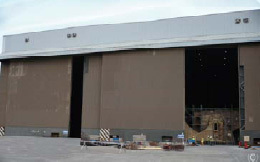 The acoustical laboratory at Architectural Testing, Inc. in York, Pennsylvania recorded an astounding Sound Transmission Class (STC) of 85 for a concrete block and metal stud wall design configuration that included Acoustiblok, which translates to a perceived volume reduction of 99-percent to human hearing. To find out more about the Acoustiblok Noise Reduction products, contact us at 813-980-1400, e-mail us at sales@Acoustiblok.com, or visit our website at www.acoustiblok.com.